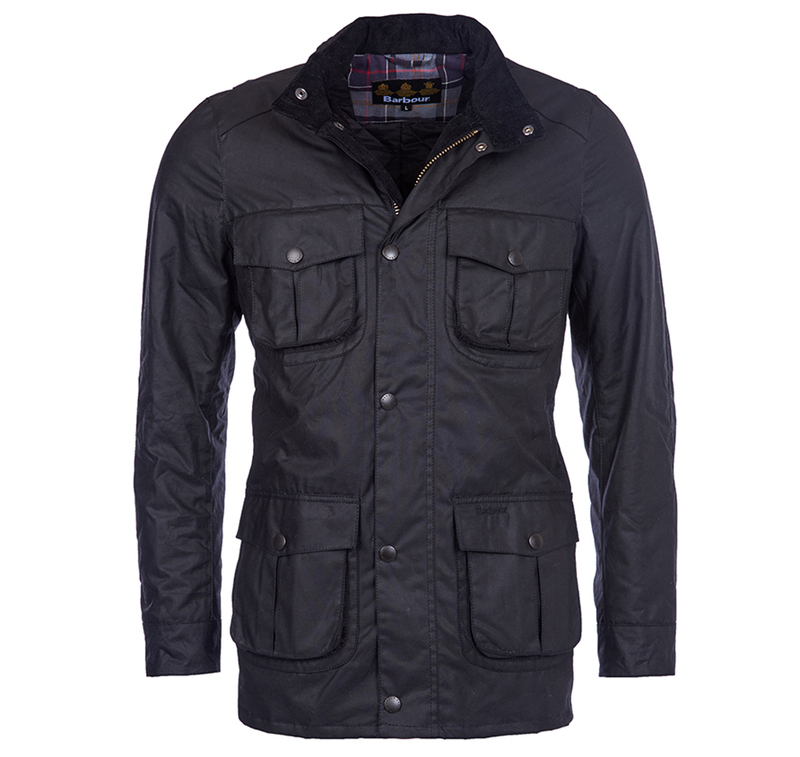 The Corbridge is a rugged utility-style mens waxed jacket updated with a contemporary engineered fit. 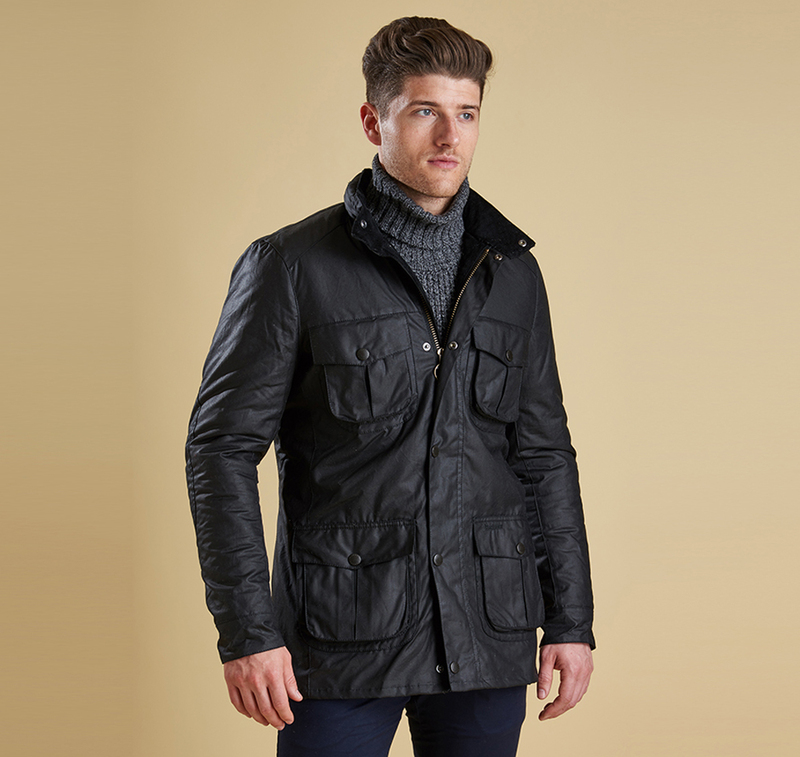 With winter in mind this multi-functional jacket is constructed in Barbours hardy 6oz Sylkoil waxed cotton with a comfortable lightweight lining quilted to 50g wadding for additional warmth. 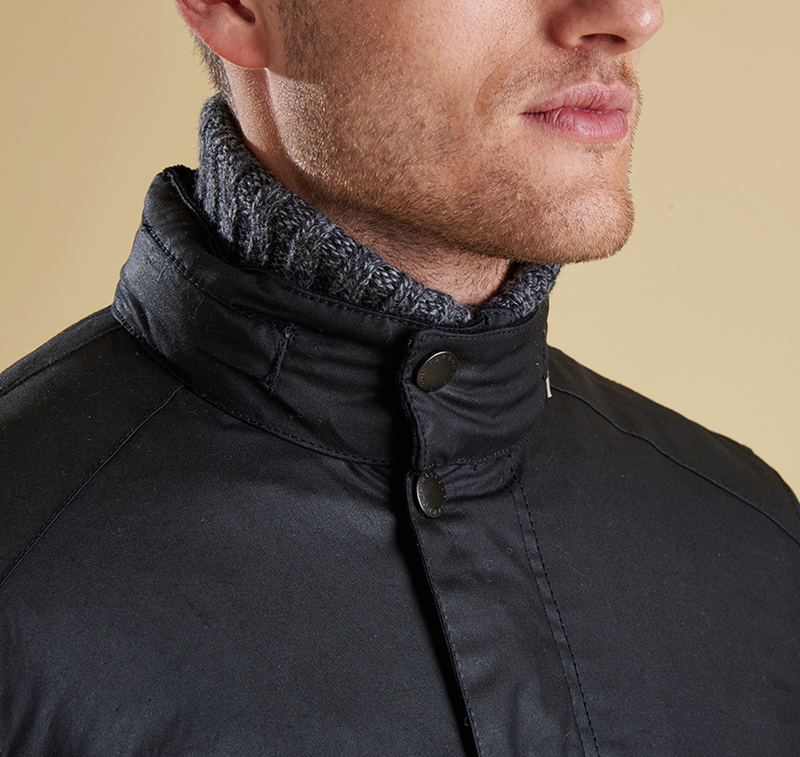 The corduroy-lined funnel collar features an integral hood complete with adjustable toggles for a perfect fit offering wet-weather defence when needed but easily stowed away in the collar on dry days. 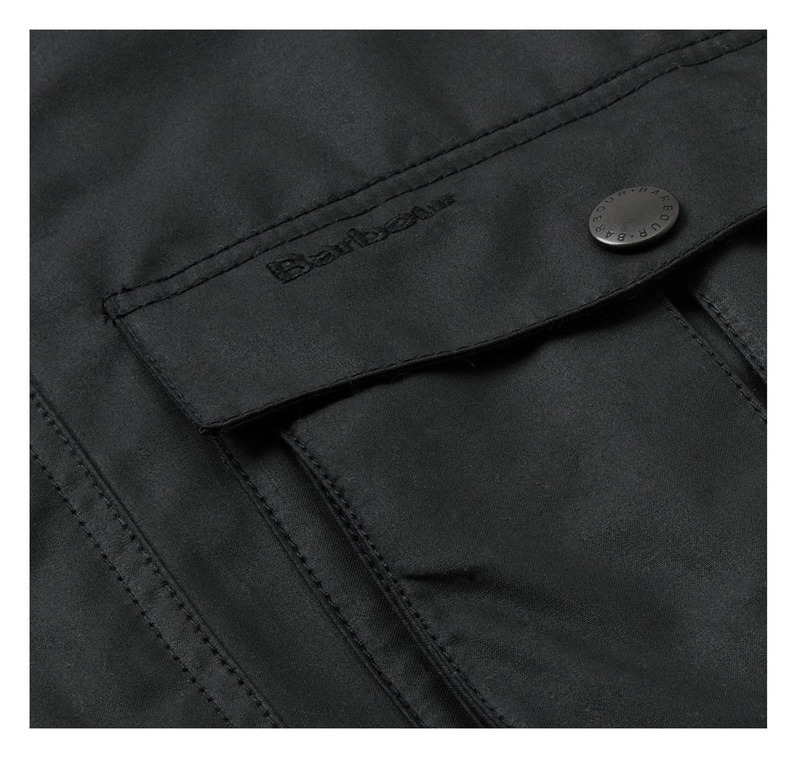 Built to offer comfort and protection to those who are active outdoors in any weather the Corbridge benefits from adjustable cuffs a robust two-way zip a storm fly front with stud fastenings and an action back. 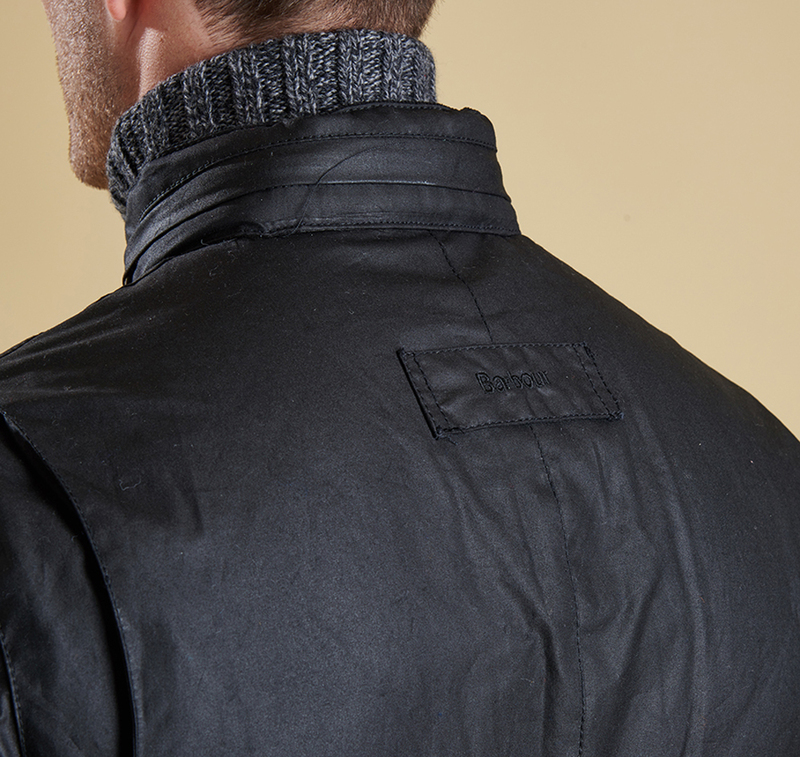 The classic four-pocket detail adds a stylish practical feature that keeps essentials safe and hands free. 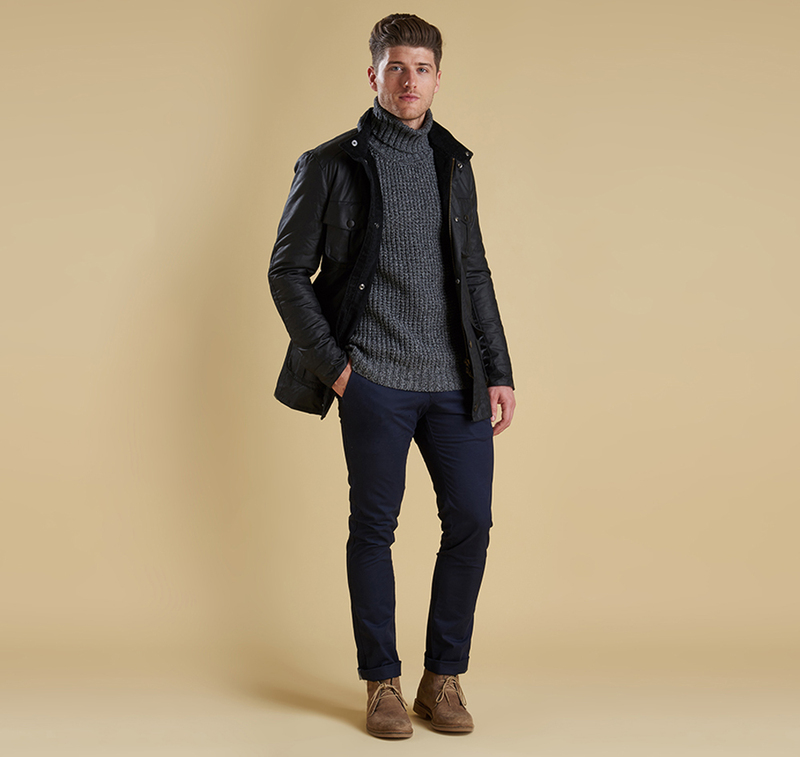 Available in a choice of three versatile colours. 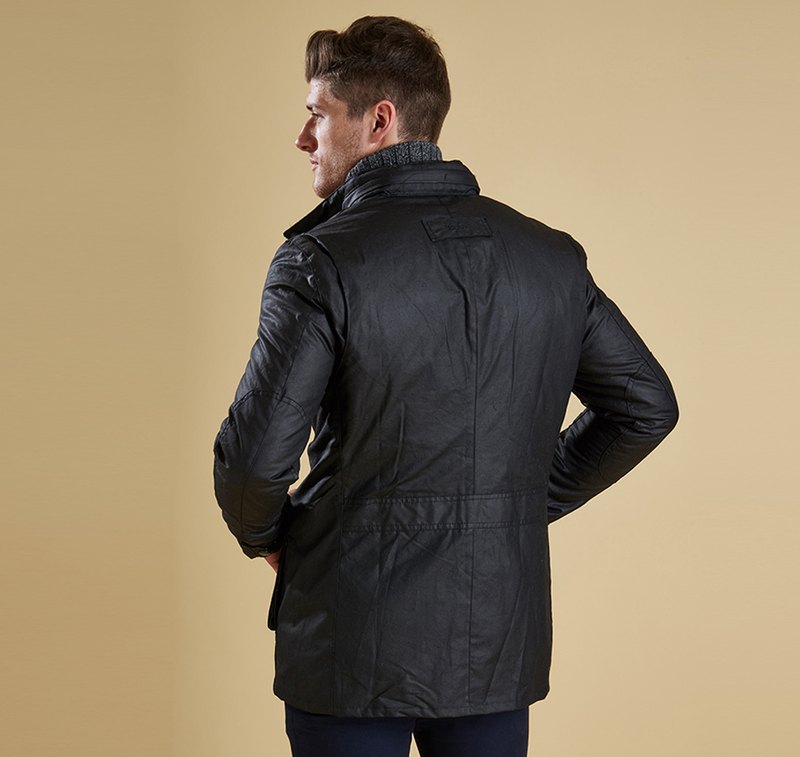 As this is a slim fitting jacket we would advise purchasing the next size up than you would normally choose.